This thick, rich, and filling Minestrone Soup is chock full of vegetables. Tomatoes, Italian seasonings, and beans are the stars of this soup, but unlike most traditional minestrone soups, this one uses potatoes in place of the usual pasta. This delicious and filling soup will definitely be making another appearance on our dinner table. 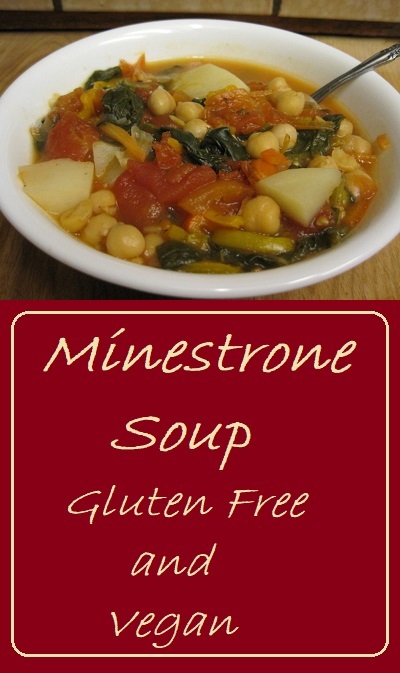 Give this recipe for Minestrone Soup a try and let us know what you think by leaving a comment below. Chop all vegetables and set aside, keeping onions and garlic separated from the others. Heat oil in bottom of a large pot or dutch oven. Saute onion and garlic until onion becomes translucent, being careful that the garlic doesn't burn. Add tomatoes, beans, Italian seasoning, basil, and garlic. Stir well to combine then add peppers, carrots, vegetable broth, water, and potatoes. Mix well to incorporate everything into the soup. 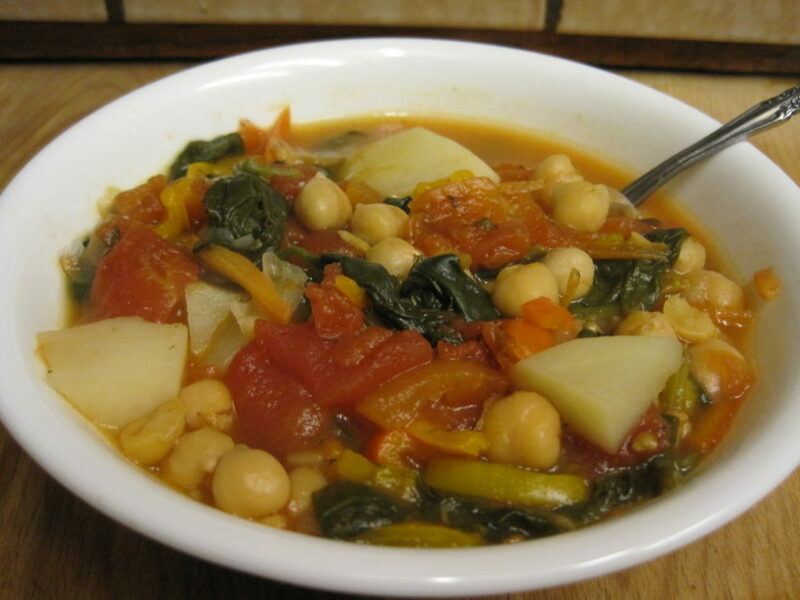 Bring to a boil, then cover, reduce heat, and allow to simmer for 20 - 30 minutes or until potatoes are fully cooked. Ladle into bowls and serve. *This post was updated January 2018 to add nutrition label and pricing. Nutrition Information is for 1/8th of the recipe. Approximately 1 1/2 cups of soup.